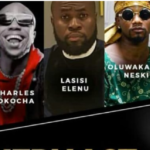 It’s that time of the year again when all music lovers look forward to is, who would be winning what award in the global awards scheduled for the earliest part of the coming year especially now that the nominees’ list has been out (on 7th December). I am taking the forthcoming 61st Grammy awards in February 2019. Another history made this year again as some of our very own African acts from: Nigeria, Niger (pronounced Neejair or Republic of Niger), Mali, Soweto and South Africa made the Best World Music Album category. Our music keeps getting global recognition. We got to make a big deal out of this! We make them our #AOTW today! The nominees include: Soweto Gospel Choir (South Africa), Seun Kuti & Egypt 80 (Nigeria), Fatoumata Diawara (Mali) and Bombino (Niger). Hopefully they do us more proud winning biggest music awards come 2019 Linx! Absolutely! 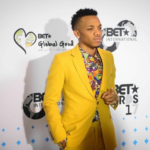 Though this is not the first time African artists would make Grammy nominees’ list and awarded the prize for their contributions to music worldwide. In 2016 three Africans got nominated for 2017 Grammys. This is a huge step closer to making our dreams come true across many genres, locations, ages, and walks of life. We can’t wait to start seeing our artists winning the big 4 general field categories: record of the year, song of the year, album of the year and best new artist. Also big shout to women in music stepping up for more recognition in the industry year. Last year Grammy awards did not only witness male artists dominate the nominations list, but also won the majority of categories which further gave birth to the hashtag #GrammysSoMale trend Twitter. It’s fun seeing our artists getting the chance to attach their names to the legacy of GRAMMY winners. Each of the big four general field categoriesis dominated by female acts, including six out of eight acts up for best new artist in this year’s nominees’ list. It’s no battle of sexes but that calls for celebration. Let’s that started with our number song already! We got on #4 one of the Malian finest female artists Fatoumata Diawara whose 2nd solo album Fenfo(Something to say) is up against other 3 African acts nominated for Grammy awards in 201. Fenfo also features the acclaimed classical cellist Vincent Segal hailed as a World music masterpiece. No 4 Fenfo –this sound demonstrates her impressive musical range of original songs produced by noted French producer Matthieu Chedid. Up on #3 is Oumara Moctar a Neejair singer known as Bombino. His 6th album title Deran has been nominated in the same category Best World Music Album. Bombino is an internationally acclaimed Tuareg guitarist and singer-songwriter from Agadez, Niger. Bombino music frequently addresses Tuareg geopolitical concerns and is sung in the Tuareg language of Tamasheq. Bombino genre is said to one of the most successful world music genre with the desert blues, traditional folk, and “Tuareggae” music styles. 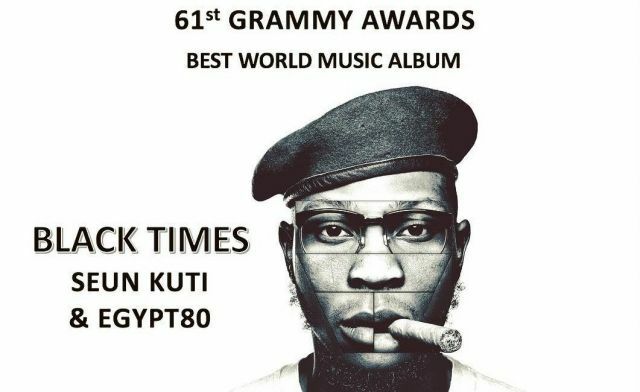 Seun Kuti’s latest/ 7th album Black Times (the youngest son of late Fela Anikulapo-Kuti) also makes the list as the only Nigerian album nominated. Seun Kuti is a global music figure who is famous for leading his father’s Egypt 80 band and is as incensed by injustice and inspired by greatness as his father ever was. The album Black Times debuted at #8 on the Billboard World Music Chart earlier this year. His first ever album to get in the charts. Seun has led Fela’s former band ‘Egypt 80’since he was 14 when his father died; after joining the band and performing with his father when he was 10. 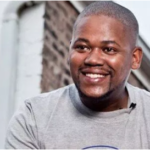 He has beaten his father’s record, the ‘Afrobeat’ legend whose album ‘Live in Detroit’ was number nine on the same chart in 1986. Soweto Gospel Choir –South Africa band formed in 2002, by David Mulovhedzi and Beverly Bryer, two choir directors. Soweto Gospel Choir sings in six of South Africa’s eleven official languages on Freedom but mostly in Zulu or Sotho, as well as English. Freedom is a tribute to international hero Nelson Mandela in celebration of the 100th anniversary of his birth. The last quarter of every year is usually a hectic one for the music industry. Grammys awards activities usually takes place between October 1st of the previous years and September 30th of the year of nominations before the final award presentation in February of the next year.